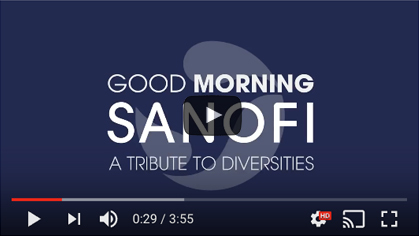 Sanofi, a global healthcare leader, discovers, develops, and distributes therapeutic solutions focused on patients' needs. With 12 locations in Massachusetts, many located within close proximity to Boston, you'll have easy access to public transportation, popular restaurants, some of the best education, and most of all the history. Sanofi Genzyme is the Global Business Unit (GBU) of Sanofi responsible for specialty medicines with products in 5 key therapeutic areas; Rare Diseases, Rare Blood Disorders, Multiple Sclerosis, Oncology and Immunology. The Head, Global Medical Affairs MS/Neurology will report to the Head, Global Medical Affairs for MS, Oncology and Immunology (MSOI). This person will be part of the Global Medical Affairs MSOI Leadership Team. This person will lead a team of global medical affairs professionals (mostly comprised of MDs, and PhDs) dedicated to supporting commercialized products in MS and will play a key role in the clinical and commercial development of all products in the MS portfolio and MS/Neurology pipeline. S/he will be expected to lead the development of medical affairs strategies aligned with brand strategies and ensure optimal execution of medical affairs activities for prelaunch, launch and post-launch products in all markets served by Sanofi Genzyme. In addition to developing Global Medical Affairs Brand Plans for each brand in line with the Commercial Brand Strategy, the Head, Global Medical Affairs MS/Neurology is also accountable for the Medical Affairs contribution to the Integrated Evidence Generation Plan (IEGP) for both clinical development projects and inline products. This person will represent Medical on key governance committees including the cross-functional Therapeutic Area Review Committee (TARC), Global Project Teams (GPTs) and Global Brand Teams (GBTs). In addition, the Head will work closely with the leadership of Genzyme’s Research, Clinical Development, Commercial, Health Economics and Value and Access and Product Management functions in the US and worldwide to support optimal life cycle management for all products. It is preferable for the Head, Global Medical Affairs MS/Neurology to be trained in a CNS-related specialty or to have deep industry experience in MS/neurology. Additionally this position requires the ability to work effectively in a highly matrixed environment, to be highly team oriented with outstanding interpersonal skills and ability to collaborate effectively with other groups, as well as to be a strong strategic thinker while also being effective in tactical execution. Experience as a team leader and direct team management is also a requirement. A strong commitment to achieving corporate objectives while maintaining the highest ethical, regulatory and scientific standards is required. 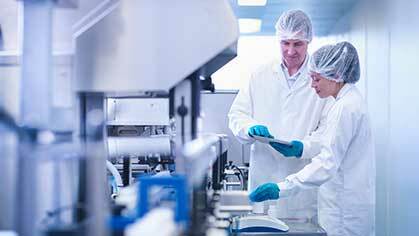 The primary goal of this position is to maximize patient benefit from Sanofi Genzyme’s products through ensuring their safe and appropriate use. Oversee management of strategy around Investigator Sponsored Studies and Phase IV Medical Affairs Studies, including chairing the Scientific Review Committee to ensure that the LCM strategy is clearly defined and consistent with the clinical development and strategic objectives for each product, and that appropriate processes are in place for review, approval, management and support of studies that are scientifically sound. Lead, along with colleagues in Scientific Communication, management of publication planning and execution to ensure that all data on Genzyme products generated by company or investigator sponsored trials is publicly presented in an appropriate and timely fashion and in a fair and balanced manner. Lead activities to define the scientific platform for each product along with Scientific Communications colleagues. Oversee management of funding for CME, grants, and sponsorships to ensure that funds are allocated appropriately to activities consistent with the clinical development and commercial objectives of the business, and that review and approval processes are in place to maintain strict compliance with all federal regulations. Manage direct reports and Head Global Medical Teams that will include Region Medical Heads for EU, JAPAC, Emerging Markets, US, Scientific Communication, other functions (eg RWE, HEVA) and direct reports. Responsibility and accountability for the financial management and reporting requirements for medical affairs, including supporting the Finance reporting process with accurate and timely data and assumptions as needed to support budgeting, forecasting and long range planning. Manage the budget.